Are you a writer looking to get published? Reality check: there’s a hell of a lot of writers out there, my friends. It’s no easy feat to get published – even if you do it for free! Seriously, pursuing a writing career can be tough, most especially if you are just starting out. But hey, don’t worry. 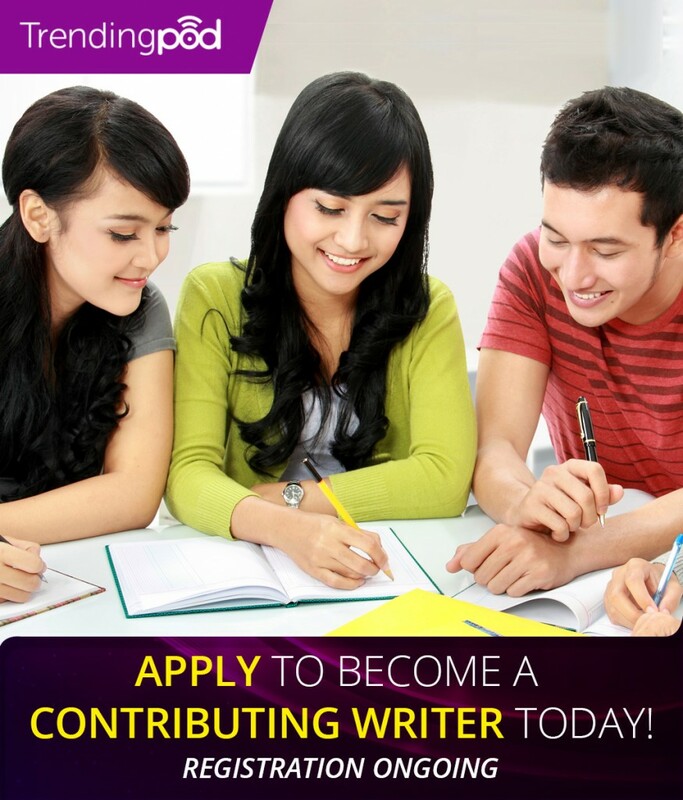 Trendingpod is inviting students to be part of its growing team of contributing writers. It only takes less than 3 minutes to register. Trendingpod is an online magazine and media website that features the most trending, most-read and most- shared news, stories and videos from around the web. Some pretty cool stuff you’d want to pass along to your friends. We are looking to bring all the best of the internet into one place! It’s a great opportunity to piggyback our growing followers and aggressive online marketing efforts. Get your writing pieces published online. Build a winning writer’s portfolio. Get insider writing tips from our team of seasoned writers. Get noticed ahead of a slew of job seekers out there. Make your job interview (or should we say, presentation) memorable. Be part of a fun environment with GREAT BENEFITS and FREEBIES. If you are passionate about writing, hard working and eager to be part of a class A team of contributing writers, we’d love to hear from you. REGISTER NOW! You’re a step closer to becoming one of Trendingpod’s contributing writers! Fill in the information below to register and send it to us. Upload your content in MS Word or PDF format.